I haven't revisited this theme in a while. 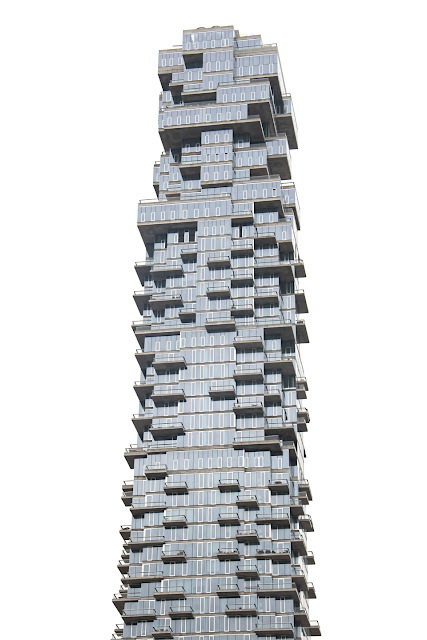 This new tower in Lower Manhattan is nicknamed the Jenga Tower, for obvious reasons. Officially, it just goes by its address, the much less whimsical 56 Leonard Street. While I'm inclined to dislike on principal any high rise tower in a low-rise neighborhood -- Tribeca, where this is located, is mostly lofts and brownstones that top out at 6-8 stories -- at least this is more fun than the skinny ultra-tall towers going up in Midtown.